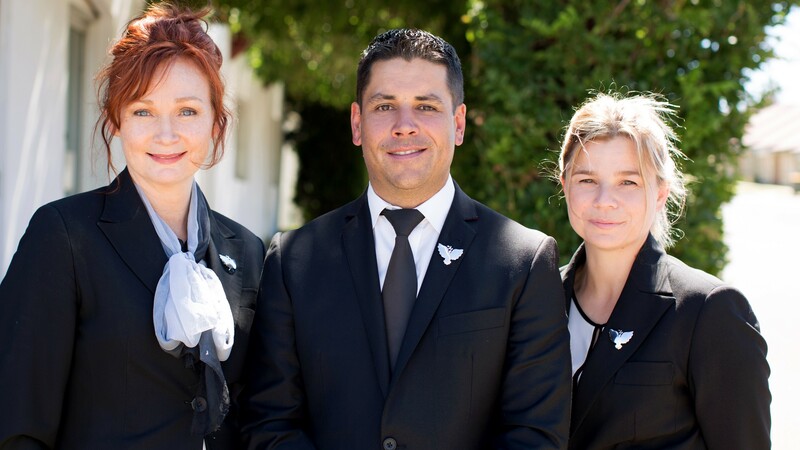 Serving The Queanbeyan Area For Over 110 Years. Arranging a funeral can be a difficult time, our staff appreciate this and offer caring experience that’s hard to find elsewhere. We also understand people can be confused or have different needs so rest assured the first person you speak with will be able to assist. Arranging this final farewell does not have to be a daunting prospect and Jason, Emma and Kristy are here to help on (02) 6297 1052. RELIGIOUS & CULTURAL NEEDS can be fulfilled by us so you’re secure that funeral planning matches your needs. Please call us to find out more about how we have helped families in this regard in the past. Our chapel is fully air conditioned and can normally accommodate 34 people seated. The overflow area allows for up to 20 more people standing. If required, we do have access to larger chapels in Canberra. Our sound system allows for every spoken memory or musical tribute to be heard clearly by all and the modern display system ensures pictures are viewed easily by everyone in attendance.